We arrive late at Mahogany Springs Safari Lodge. There is good news and bad news: the good news is that Since President Trump isn’t in the neighbourhood I am assigned the two bedroom “presidential suite.” The bad news is I have to “share” it with Sue Ellen. As I am settling into my half of the suite there is a knock on the door. Sue Ellen is holding three pairs of men’s underwear – my underwear. Yesterday I took advantage of the delay to send out some laundry. When it came back in the morning I didn’t check it against the list – I simply repacked it. I didn’t realize I was short my shorts, but yet there they are in Sue Ellen’s hands. She says they were mistakenly delivered to her. I thank her and as I repack them I denote a strong odor emanating from them- sort of a menthol smell. I didn’t think too much about it… then. 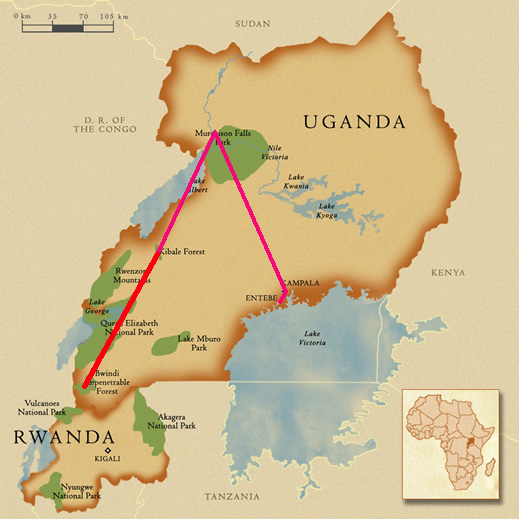 Monday November 20th – Bwindi impenetrable National Park. This is the big day that we’ve been waiting for the entire trip: coming face to face with gorillas. Everything up to this point has been a lead up to today. We’ve been instructed how to dress for this expedition. We’re told it might be cold, hot, wet, dry, long and short. We should to be prepared for all eventualities. I’m dressed in my best safari outfit. I have my multi pocket safari pants tucked into my socks. It takes me half an hour how to figure out how to put my gaiters over my hiking boots and socks. 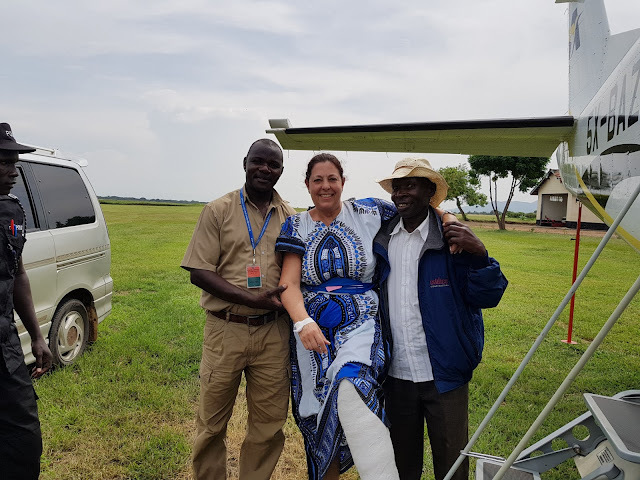 In the end I have them on the wrong feet, but they will suit the purpose – to keep swarms of red ants from getting into my pants, and deflect any snake bites. I have my khaki colored long sleeve wicking shirt tucked into my pants and a quilted fleece over that. In addition, I’m wearing my special Australian bush hat. I figure I’m well prepared for any eventuality. When I arrive at the orientation center most of the other people are just wearing street clothes. They’ll be sorry. During orientation we are informed that Uganda is home to more than half the world total population of mountain gorillas. The park plays host to eleven habituated gorilla families. There are other families - but they haven’t been habituated. Like the chimps we visited earlier, habituating a gorilla family is a lesson in patience. It takes three to five years to slowly acclimatize the gorillas to human presence. This has to be done slowly so not to “tame” the animals or to encourage them to interact with humans. In groups of eight we will be assigned a different “family.” There is no telling how long we will have to hike through the jungle to find our particular family. The previous day one group encountered their family in under an hour. Another group hiked up the mountain and through mud for over six hours before they encountered theirs. 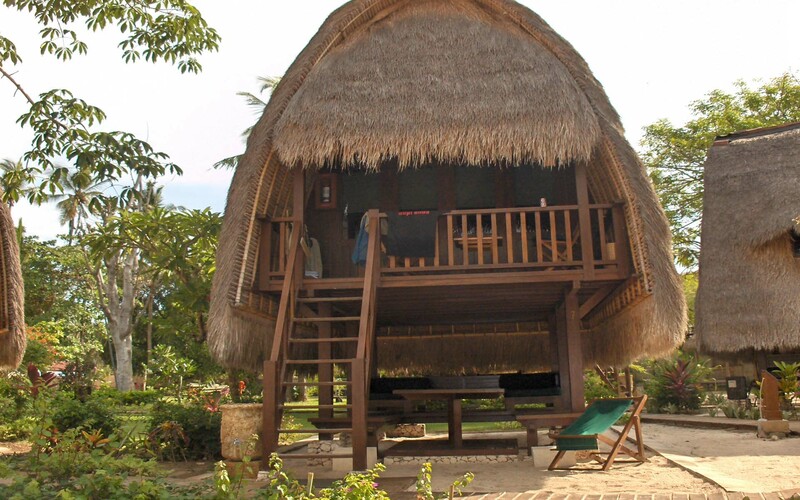 Our group of eight is assigned the “Habinyanja” family and our guide, Gawdi, was the person responsible for habituating this particular family, so he knows all the individual members quite well. We are encouraged to utilize porters – whether we feel we needed them or not. My porter’s name is Fred. The fifteen dollars we pay the porter goes a long way to supporting their family and community. Besides carrying our packs the porters lend a hand on the difficult parts of the hike, either pushing or pulling you up steep embankments. They don’t have to ask me twice. “My camera lenses,” she explains. Sue Ellen’s porter, Jane, is about four foot eleven and weighs about 80 pounds soaking wet. But Jane hefts the pack easily, and we are off on our hike. The first part of the hike is relatively easy: we just follow a trail through a cultivated tea farm. After twenty minutes we approach the interface between the cultivated fields and the jungle then things got a bit tougher. The trek through the jungle continues for about twenty more minutes when Gaudi calls a halt and announces the trackers have spotted the gorillas just ahead. The trackers stay with the gorillas all day. They only leave in the late afternoon when the gorillas begin to make their nests for the night. They return early the next morning and radio their position back to our guide – so they know where the gorillas are most of the time. It only gets difficult when the gorillas wake up and begin to move. They can move several miles through the jungle in a short period of time so it’s a race to keep up with them. In our case we’re lucky it’s only five more minutes until we reach the gorillas. We’re told to take whatever we need out of our packs and leave them with the porters who will wait for us a few hundred yards away. I already have my point and shoot camera in my pocket so I don’t need anything out of my pack. Sue Ellen unloads a few monster lenses. Viewing the gorillas isn’t quite as easy as I imagined. The jungle is dense and I have to look carefully to find them. Taking pictures is even more difficult as my camera keeps focusing on trees and bushes rather than the gorillas. Our guide tries to be helpful by carefully and quietly cutting out some of the intervening vegetation with his machete. He eventually exposes the patriarch of the group – a very large silverback - resting on his haunches munching happily on a bamboo branch. Sue Ellen is determined to get some great pictures. In order to get an unobstructed view of the giant silverback she crouches down on her haunches and tries to aim her giant telephoto lens at the gorilla. Why she needs a 200mm lens when the animal is a mere 20 feet away is beyond me. Maybe she wants a candid shot of the inside of his left nostril. The silverback stops munching looks up startled searching for the source of the noise. He spots Sue Ellen lying on her back and leaps up, pounds his chest, roars, and begins stomping towards her. Everything seems to be moving in slow motion. The gorilla looms over her. A moment passes between them. It must have been that way between King Kong met Fay Wray. The moment is shattered when Gawdi, our guide, steps between them. The silverback seems to recognize Gawdi realize there is no danger, shrugs and heads back to munch on his bamboo branch. Amazingly all of this (at least the audio) is recorded on Sue Ellen’s camera. She promises me a copy of it. I’m still waiting. The hour passes quickly without further incidents and I get some amazing shots of a mother gorilla and her baby. We’re reunited with our porters and head out of the jungle and back to the orientation center. It’s all over before noon. We’re transported back to the Safari camp and I’m chilling out in the living room of the “presidential suite,” when there’s a knock on the door. I answer it to be confronted with a large lady dragging a massage table. Evidently Sue Ellen has booked a massage to help her recover from her trauma with King Kong. I have a choice: I can either lock myself in my room until the massage is over or retreat to the bar for an hour. It’s an easy choice. After an hour I return to be confronted by the masseuse sitting on the stoop with tears running down her face. As soon as I open the door and I’m knocked over by the overpowering smell of menthol. It smells like someone has spilled ten bottles of Vick’s Vaporub. I recognize the smell. It was on the underwear Sue Ellen returned to me in the morning. I go in my room retrieve the underwear and carry it outside and hand them to the masseuse. Tomorrow we leave Uganda and head into Rwanda.